How can I reuse coffee that’s sat on the plate for too long? | How can I recycle this? How can I reuse coffee that’s sat on the plate for too long? We make a big jug of filter coffee each morning at the weekend but I regularly have to pour away the last cup or two away because it’s gone bitter. Is there anything I can do to revive it or use it up some other way? Of course, there is an obvious “reduce” angle here: just don’t make so much. 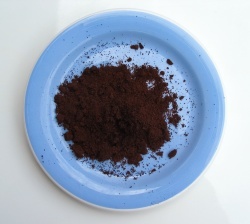 If that’s not an option for some reason or if you still end up with dregs, as a minimum, the coffee (along with the grounds and the filter, if it’s paper/cotton) should be going on the compost heap rather than down the drain – but that’s a last resort. Some plants that like acidic soils might also like to down your last cup of joe once a week too (although watered down if it’s got a bit strong on the hot plate, and it’s had too much if the leaves start to yellow or go brown after a few weeks). I don’t drink coffee but do use it in cakes/desserts from time to time. I usually get my brewmaster (boyfriend) to prepare a fresh cup for me to use though as he makes (Aeropress) espresso and we don’t have “spare” coffee. I’d imagine that any burnt taste in the coffee would be transferred to the cake/mousse etc too – but I don’t know, perhaps the other ingredients would mask it — anyone tried that? Any other suggestions for ways for Iris to use up that bitter coffee? It might become bitter, because it is left on a heating plate. I always keep mine in a good thermos bottle and even after a couple of hours it is still fine. 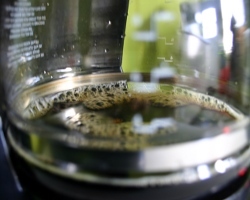 If you don’t need every cup of coffee to be piping hot, turn off the machine when the carafe is half-full. As long as you drink what’s left in the next hour or so, the remaining cups will be hot enough and won’t be bitter. I pour my leftover coffee and spent grounds into my blueberry patch to help acidify the soil. May not be as effective as commercial acids, but can’t hurt either. At work we’d make a fresh pot-then as soon as we’d each snagged a cup, we poured the rest into a pump thermos. A pump thermos is like the love child of a ordinary thermos and a carafe. 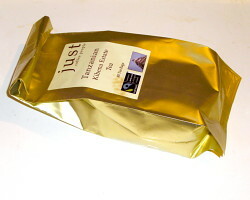 Stands on the counter, holds a fair bit, spout for pumping coffee into a mug, kept it hot a good long time. But a cheaper alternative is to pour the last mug or two into a jar, or a mug, depending on how much you have-and put it in the refrigerator. You can microwave a cup later to heat it up. It’s the standing on the hot burner of the coffeemaker that makes it bitter. Or I’ve heard of freezing leftover coffee in an ice cube tray, for use in baking, or to cool down cold coffee drinks without diluting them. Too much trouble and not enough freezer space, here! Or just start making a half pot instead of a full pot. I use old coffee to stain fabric. You have seen tea dyed muslin? I use coffee instead and love the results. It can be kept in a jar in the fridge. It smells for a bit but that goes away. I have made the primative dolls and witches and coffee works great. The coffee grinds are also great for placing around plants that tend to attract slugs, it seems to work well. I have asked a few of the local coffee places and they don’t seem to mind if you collect there coffee grinds as they only throw them away. I’ve read that the last bits of coffee make good meat marinades and can also be added to BBQ sauces. I like to freeze mine and use them in place of regular ice cubes when making iced coffee drinks at home. Pour it around rose bushes. Ham and Red Eye Gravy! Saute a thick slice of ham in a little oil. Remove the ham from the skillet, and mix a few spoonfuls of black coffee with the drippings, simmer on low for a few minutes, then pour over the ham. Boil in it eggs for Easter, can create various shades of brown. I give all my coffee and for that matter tea bags(without the bags) to my container plants and they thrive on it including tomatoes, mint, basil, etc. It also reminds me to water the plants too. We pour left over coffee on our house plants, especially our jade plants. They thrive with it. We use the grounds in our garden.